The Delta State chapter of the All Progressives Congress (APC) led by Cyril Abeye Ogodo has expelled Ovie Omo-Agege, the senator representing Delta Central Senatorial District in the National Assembly and factional senatorial candidate in the 2019 general election. Rising from an emergency meeting of the State Working Committee (SWC) in Asaba on Wednesday, the party said its decision to expel Omo Agege from the party followed his “unabated involvement in anti-party activities”. 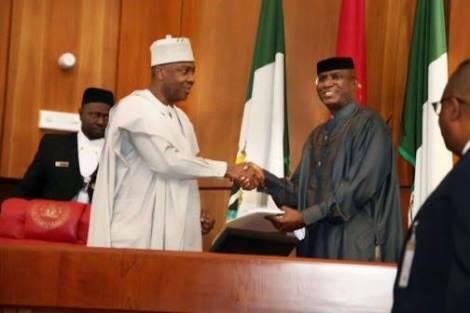 A statement titled ‘Delta APC Expels Senator Ovie Omo-Agege’, signed by the party’s Legal Adviser, Dennis Nwanokwai Esq, noted that the senator’s expulsion is with immediate effect. "The latest of such activities relates to the hijack of primaries panel members and materials sent from the national secretariat to conduct primaries in the state and deploying same to conduct unauthorised parallel primaries,” the party stated. "[Others are] the manipulation and tampering of delegates’ lists and the use of thugs to harass and deprive authentic delegates from access to primaries venues, all that in conjunction with Prophet Jones Erue and others who have earlier been expelled from our party.